When you spring for a used Kia Optima, you’re getting one of the best mid-size sedans the segment has to offer – and at a great rate. This model exceeds expectations with its solid build, luxurious cabin materials, and innovative tech features. You can’t really go wrong with the Optima, but our buying guide is here to help you understand how these sedans have changed over the years. 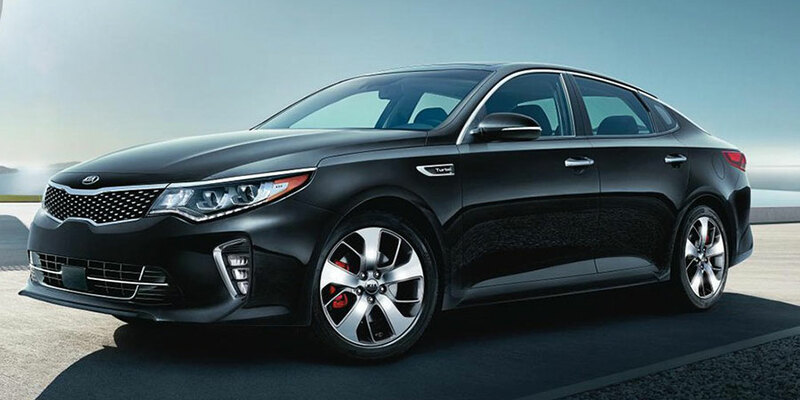 Comfort: The modern Optima is the most refined yet. Its glamorous cabin features the kind of high-quality materials you’d expect from a much more expensive model. You’ll find everything from premium leather upholstery to heated and ventilated seats to keep you comfortable. Technology & Convenience: With the Uvo infotainment system, staying connected feels safe and effortless. Apple CarPlay and Android Auto display apps – including your phone’s navigation app – right on the central touchscreen. You can even use your smartphone’s sophisticated voice controls to call home or ask the system to read your texts aloud. Whatever the case, there’s no need to look away from traffic. Safety: Every Optima comes with a rearview camera, so you can be on the lookout for stray cats and skateboards before you pull out of a tight spot. Some used models include advanced safety features, such as blind-spot monitoring, that detect and help you avoid danger. Performance: This sedan offers a range of powertrain options, including turbocharged engines that are both speedy and fuel-efficient. Comfort: If you’re looking for a great deal on upscale comfort, this is a great place to start. These Optimas get you through errand runs and family vacations in style, with plush seating and luxuries like leather upholstery. Technology & Convenience: You’ll find a lot of modern infotainment gear in these models, including an iPod/USB interface to charge devices. Keyless entry and ignition help you make a memorable exit. Safety: From 2014 on, the Optima offered driver aids like blind-spot monitoring and parking sensors, helping you navigate dark parking garages like a ninja. Performance: You’ll find a lot of different powertrain options from this generation, but all are up to the task of navigating busy city streets and highways. In terms of mid-size sedans, the used Kia Optima is a diamond in a highly competitive segment. Drivers can’t get enough of its fuel-efficient ride (up to 37 mpg on the highway!) and proficient power. In addition to zipping around town with major speed, you’ll also do so with comfort to spare. The Optima’s roomy, supportive seating gets you through traffic jams in a state of bliss. What’s not to love? There haven’t been many changes to the fourth generation just yet, so focus on mileage and general condition when you shop these models. If you’re browsing the third generation, be on the look out for a few changes from model year to model year. In 2012, the voice control system debuted, making it easier – and safer – to stay connected with hands-free calling features and the like. Kia refreshed the Optima for the 2014. From here on out, these sedans supply increased front-seat comfort and sharper exterior styling. High-end driver aids, including blind-spot monitoring and rear parking sensors, were also introduced for 2014. 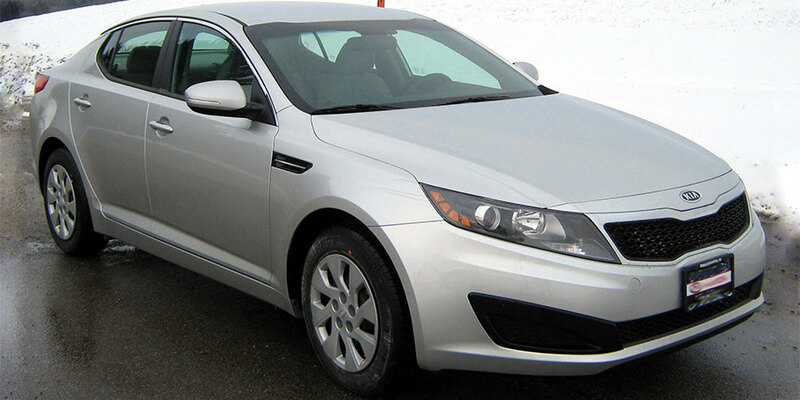 Beginning in 2011, Kia introduced an Optima to rival all other mid-size sedans. However, the previous two generations weren’t quite as celebrated. Models from the second generation, from 2006 to 2010, remain a solid pick, with roomy cabins and dependable powertrains. Later models are more stylish and high-tech, but these will do if you’re prioritizing affordability above all else. Skip used Kia Optima sedans from before 2006, as the original first generation can’t promise the refinement and reliability that came later. We work with all types of credit at Raceway KIA! Call us at 888-641-6821 to schedule your appointment! We look forward to taking great care of you!